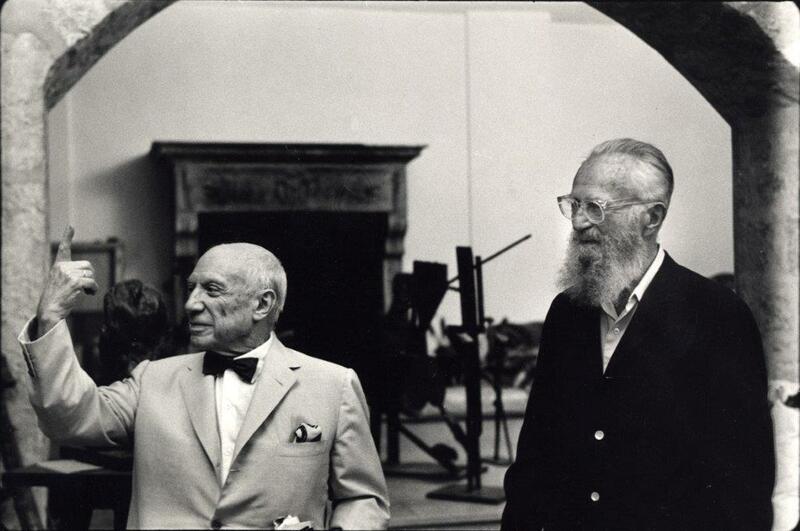 Taken in the sculpture room at Notre-Dame-de-Vie, in the image Picasso appears next to famous photographer Edward Steichen. In 1911, in his gallery in New York, Steichen had organized the first Picasso exhibition in the United States. When Roberto Otero takes this picture Picasso is wearing, businessman and art collector, Joseph H. Hirschhorn’s jacket and bow tie, who Steichen had just introduced him to. The re-framed version of the photograph, in which only Picasso can be seen, became one of Otero’s most widely-circulated pictures.